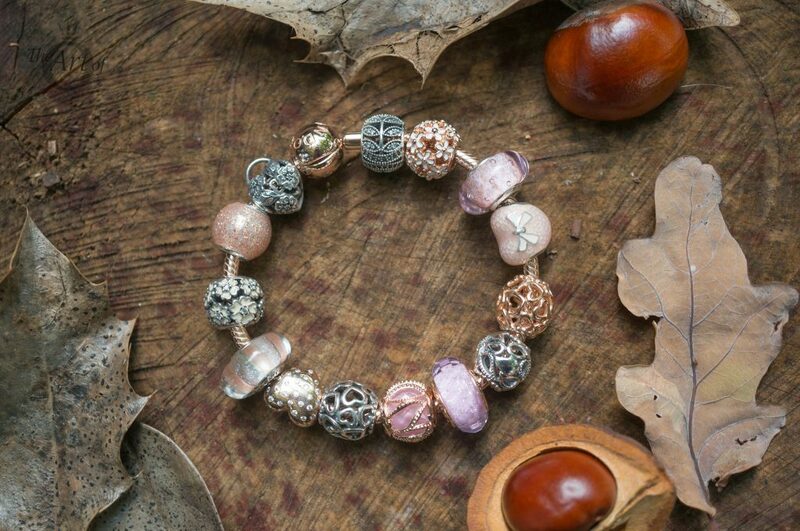 Light up your bracelets with the sophisticated, sparkling colours of the Shimmering Stripe Murano. 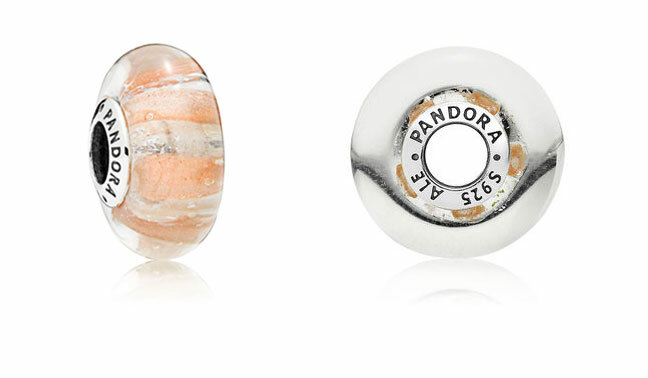 I’m loving PANDORA murano charms at the moment and the Shimmering Strip Murano is no exception! 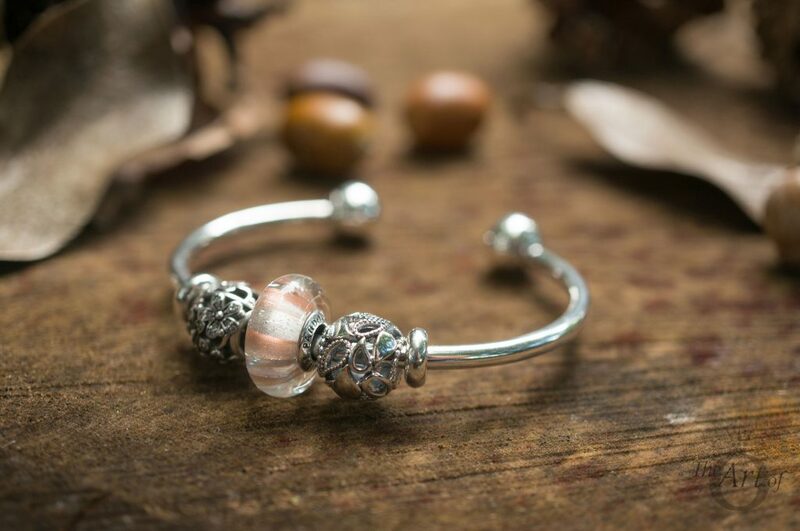 The PANDORA Shimmering Stripe Murano (796248) was one of only two murano charms from the PANDORA Autumn 2017 Collection. 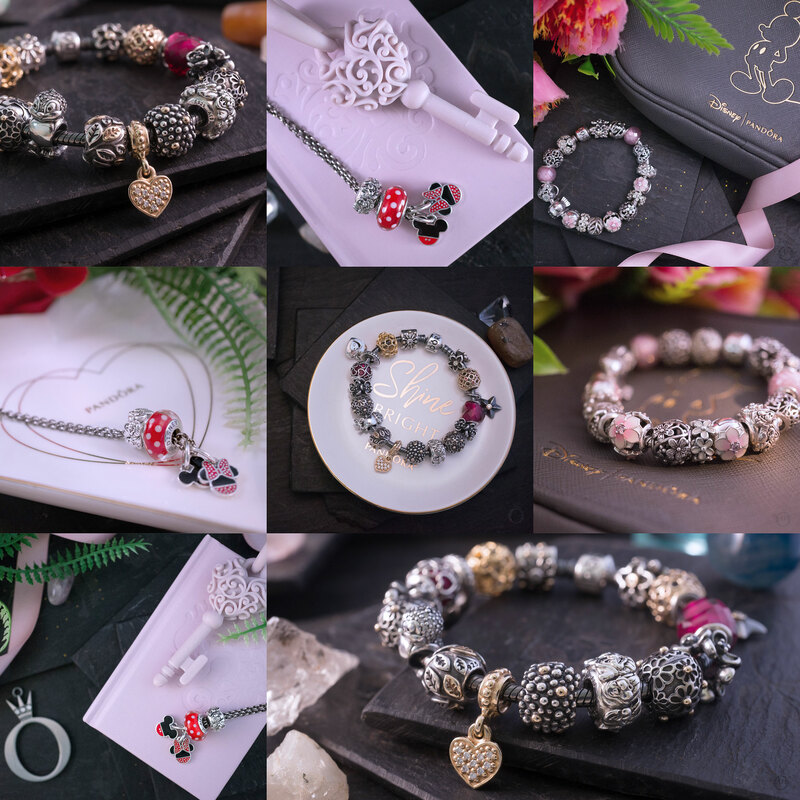 In fact it was the only silver core murano as the second murano charm was the first PANDORA Rose Murano, the PANDORA Rose Pink Shimmer Glass Murano Charm (781650) which I will be also reviewing soon. 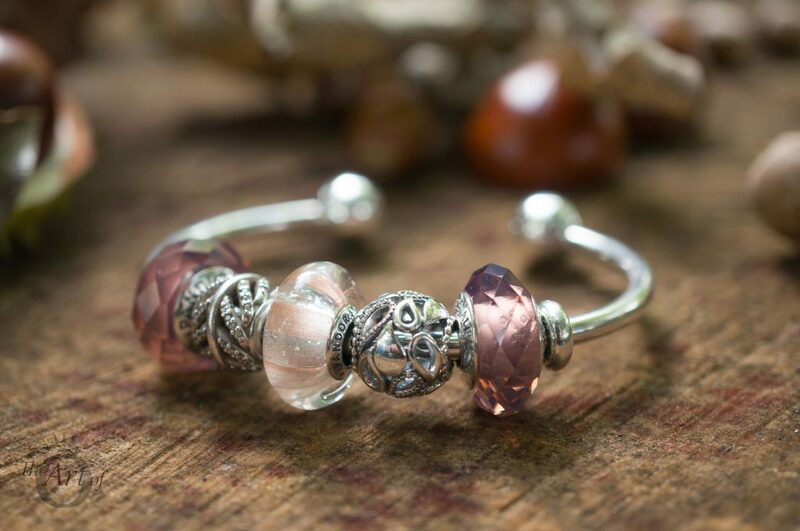 The PANDORA Shimmering Stripe Murano Charm contines PANDORA’s latest obsession with sparkly, glistening glass. Little flecks of iridescent glitter create a lustrous feel as they twinkle between the warm stripes. 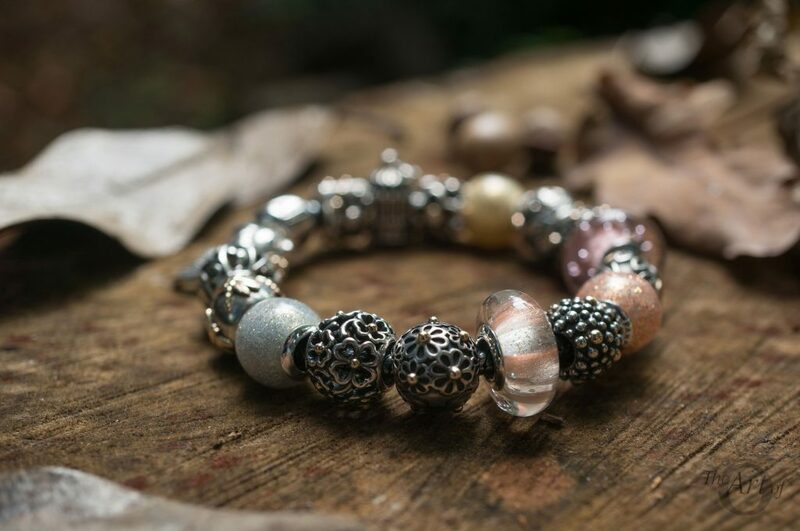 The warmth of the colours in the PANDORA Shimmering Stripe Murano make it perfect for Autumn and it reflects the peachy, apricot and titian shades from the falling leaves. From above the shining, rich, golden stripe appears to float just above the surface of the glass as the silvery specks create abstract shapes underneath. The effect really is quite mesmerising so prepare to be distracted when you wear this beauty! 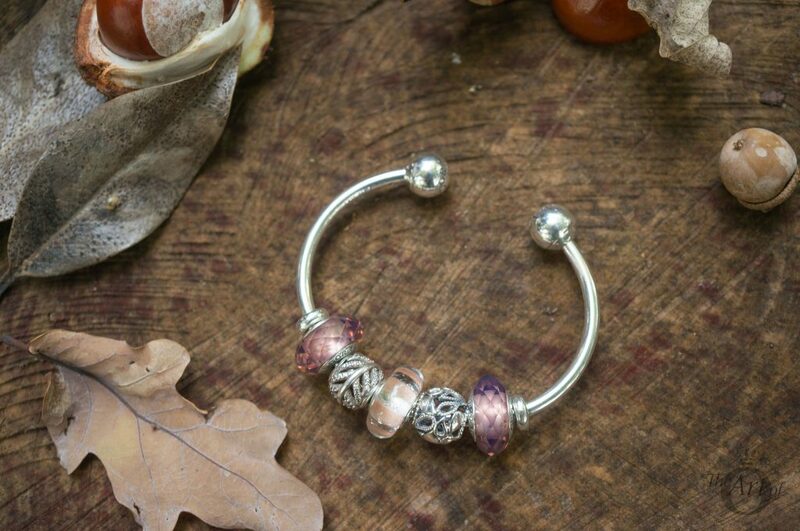 As PANDORA murano charms are hand crafted, each one is unique. 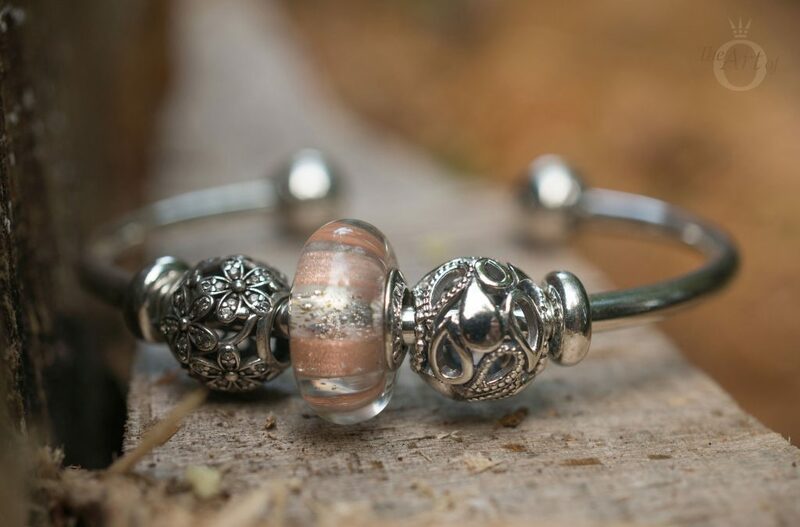 In my PANDORA Shimmering Stripe Murano I have a few tiny bubbles scattered throughout, but for me it just adds to the charm. One side of the core on the Shimmering Stripe Murano is left plain and the normal PANDORA ‘S925 ALE’ hallmarks encircle the other side. 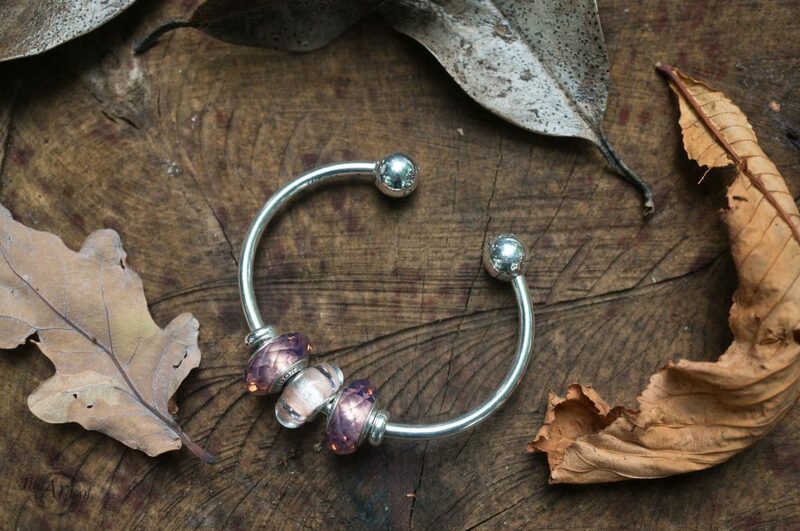 The Shimmering Stripe Murano adds a glowing warmth to a mixed metal design. 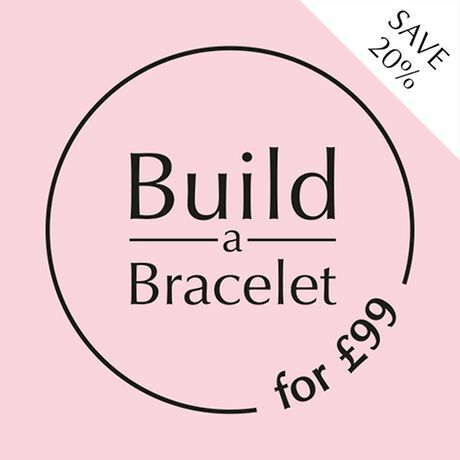 This style plays with silver, enamel, cubic zirconia, crystal and glass on the PANDORA Rose Heart Clasp Bracelet (580702). 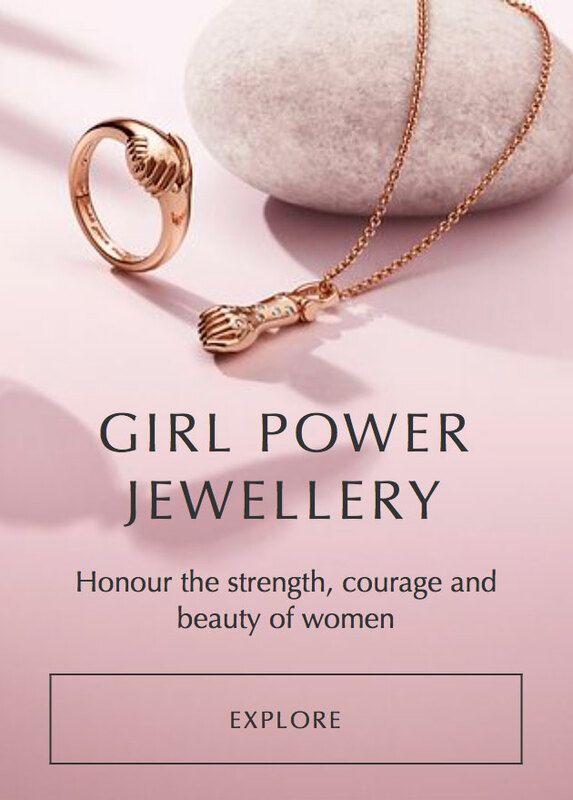 Many of my favourite PANDORA charms are two tone yet in this design I created a three tone look adding rosy shades into a silver and gold combination. 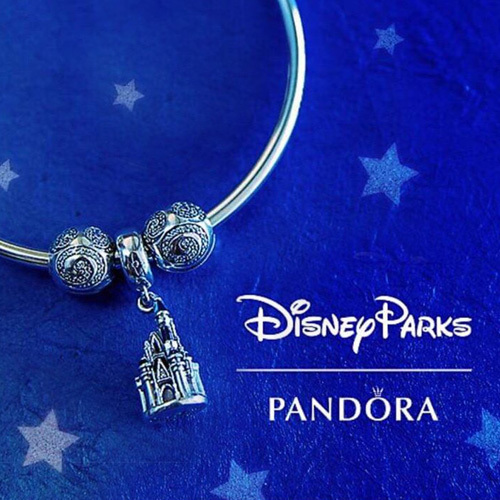 The PANDORA Oxidised Bracelet (590702ox) adds a gothic, vintage flair to this fusion. 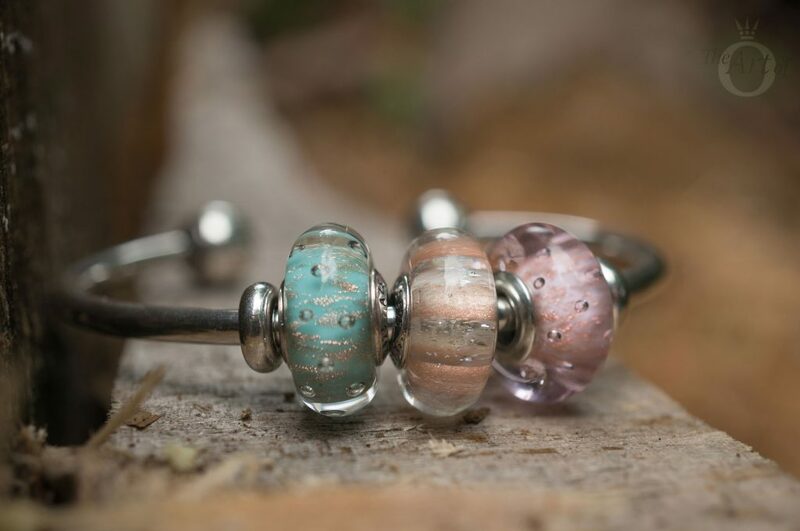 The Shimmering Stripe Murano is quite versatile and looks cute worn in a trio with the Mint (791669) and Pink Glitter Murano (791670) charms. 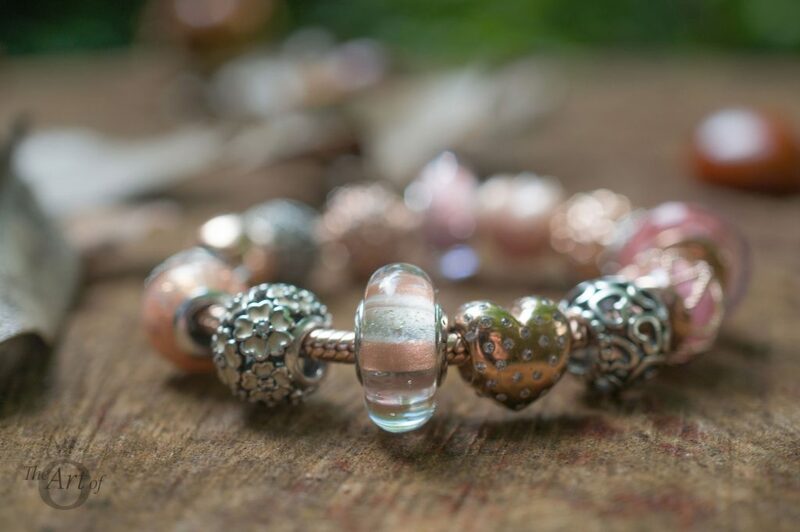 The copper coloured stripe highlights the sparkling dust in the Glitter Murano charms. 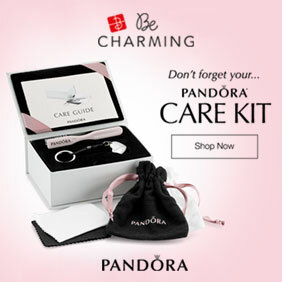 I love this styling on the new PANDORA Mesh Bracelet (596543) and Open Bangle (596477). 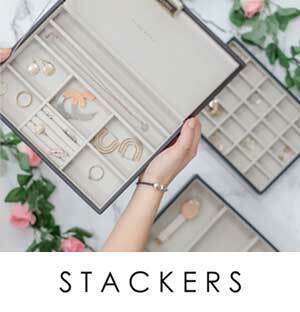 It looks gorgeous stacked with full Moments bracelets too. 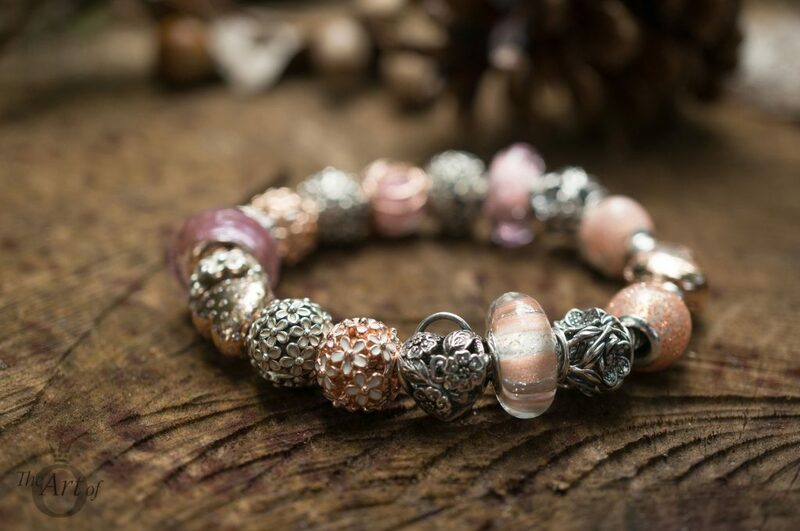 Due to it’s warm ribbon the PANDORA Shimmering Stripe Murano blends effortless with PANDORA Rose. 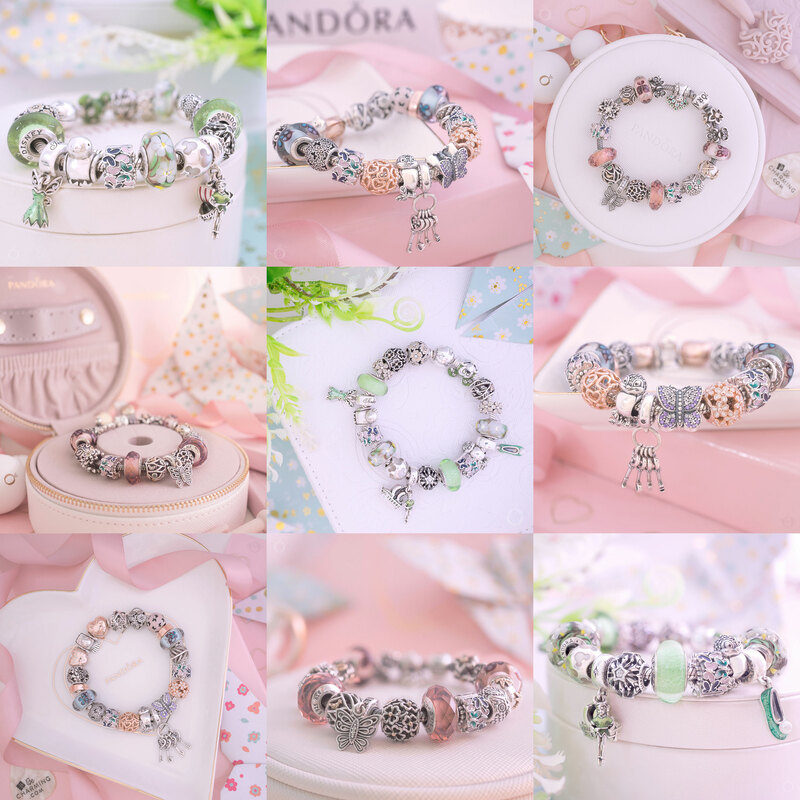 Often I like my PANDORA bracelets to be symmetrical but the mixture in these designs provide a unique, eclectic style that looks fun yet grown up! 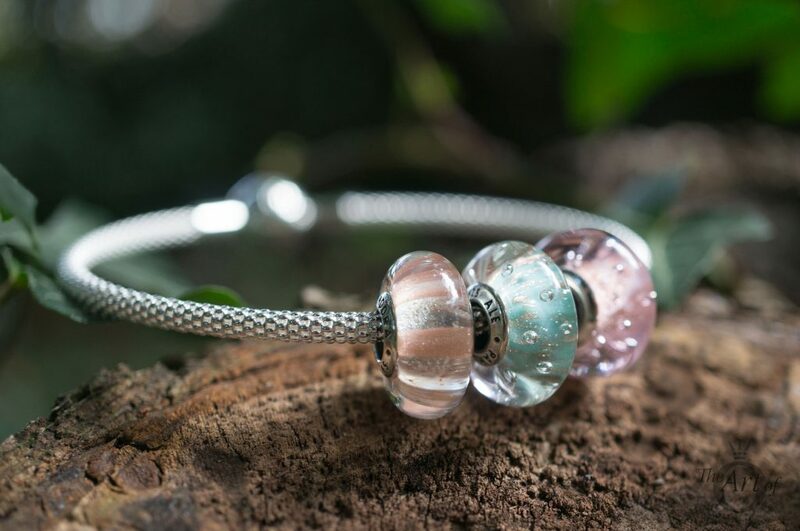 The Shimmering Stripe Murano is so sweet, it can be worn simply with a couple of silver charms centred on the PANDORA Open Bangle. Pure understated elegance. 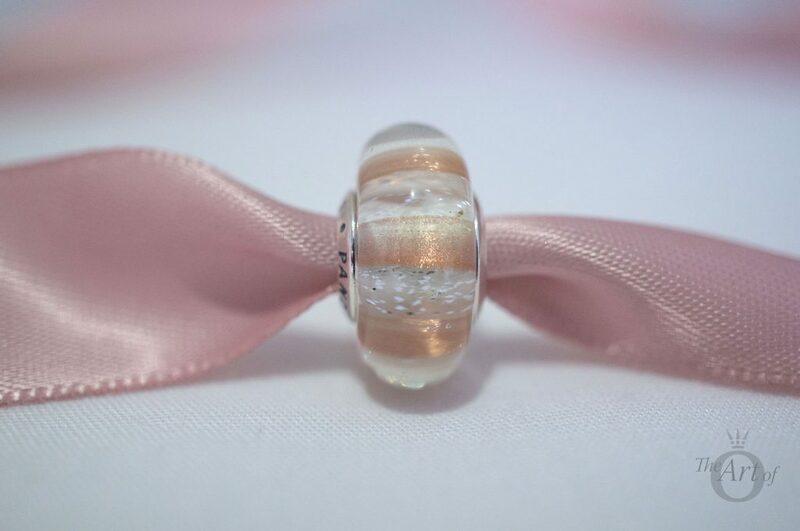 I was pleasantly surprised at how well the Shimmering Stripe Murano compliments the Fascinating Blush Crystal (791729nbp) charm. As the sunlight dances around the facets reflect the tawny, russet shades of the shimmering stripe. As murano charms have no correct way round, they are fantastic options for necklace designs. The Shimmering Stripe Murano looks wonderful in this dreamy design with the Golden Laurel Leaves Pendant Charm (791407ccz). In my final style, the Shimmering Stripe Murano charms flutters away between the Silver (796327en144) and Rose Golden Glitter Ball (796327EN145) charms above the Dragonfly Pendant (390336czk). 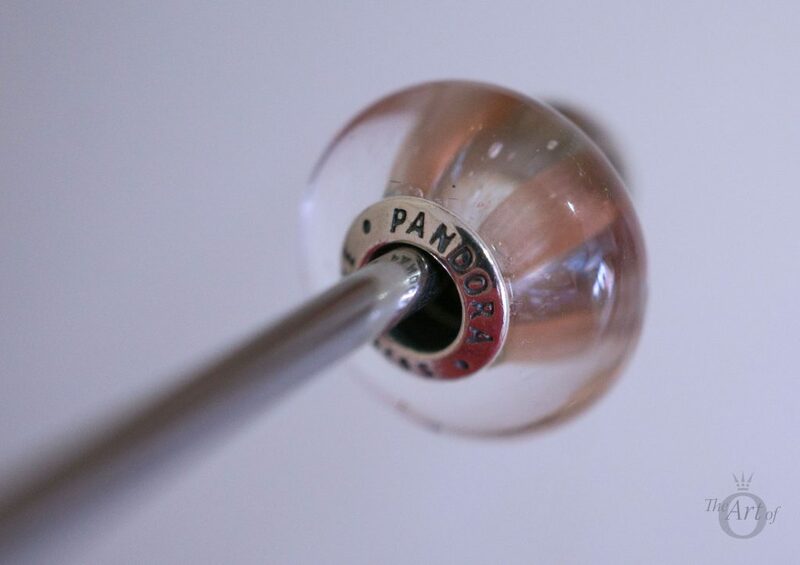 My verdict on the PANDORA Shimmering Stripe Murano? A shimmering success! 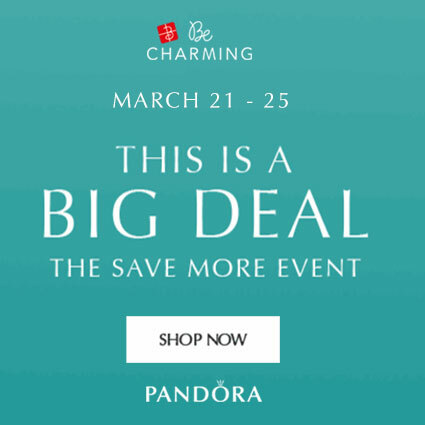 The PANDORA Shimmering Stripe Murano (796248) is $45 USD / $50 CAD / £30 / €35 and is available from our preferred PANDORA retailer BeCharming.com. 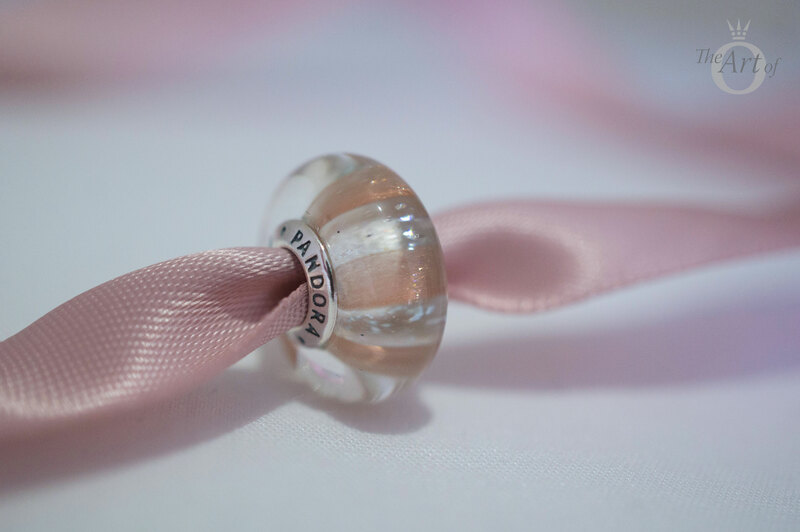 Have you bought the PANDORA Shimmering Stripe Murano Charm or is it on your wishlist? 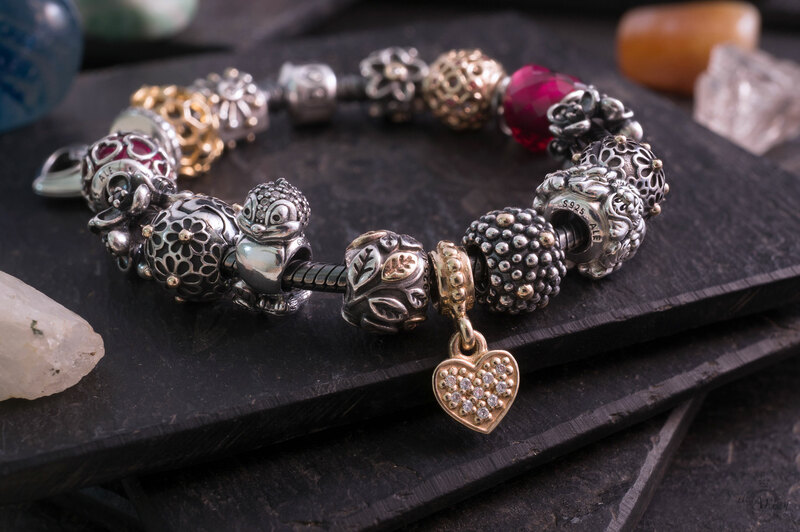 How many murano charms do you have in your collection? Let us know in the comments below. Thank you, I so glad you enjoyed it. It really it quite charming and the colour seems to change from being vibrant or pastel depending on what it is paired with. I’m sure you will love yours too! 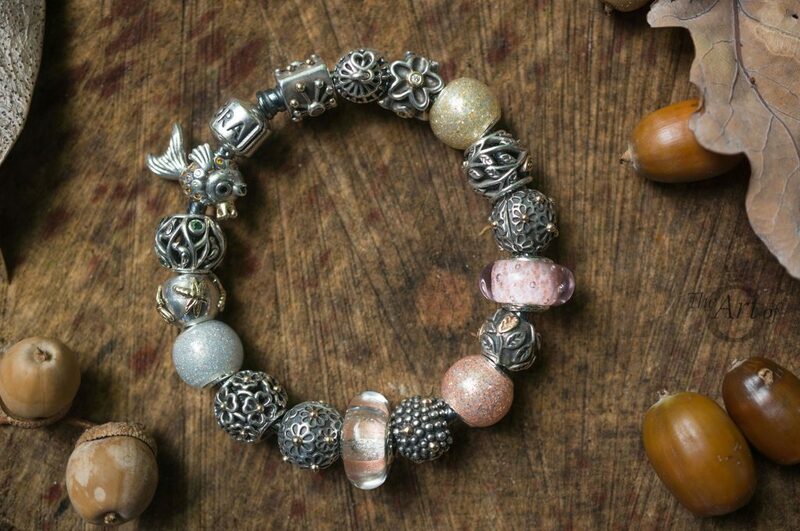 Ooohhh, now I have to get the Rose glitter balls, looks great with the silver glitter & this murano. That’s the problem with PANDORA, it’s just so addictive! 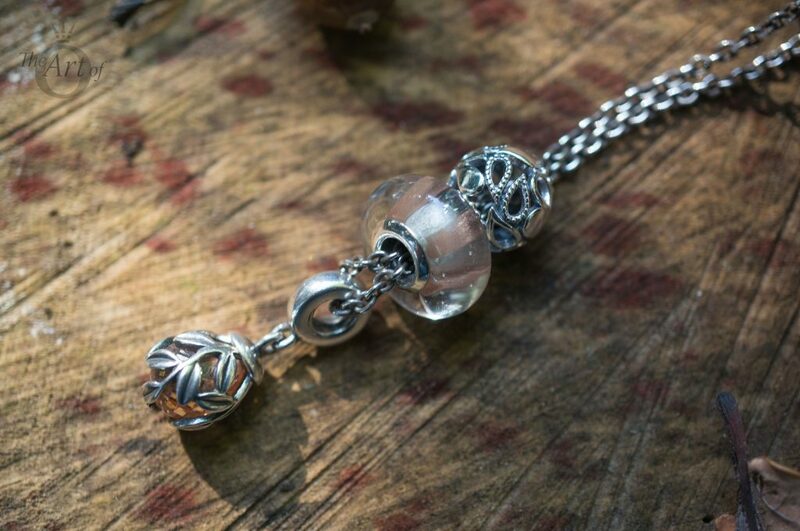 The Rose Glitter Ball does look beautiful with the Shimmering Stripe Murano though and it is quite reasonably priced especially as it is a threaded charm. 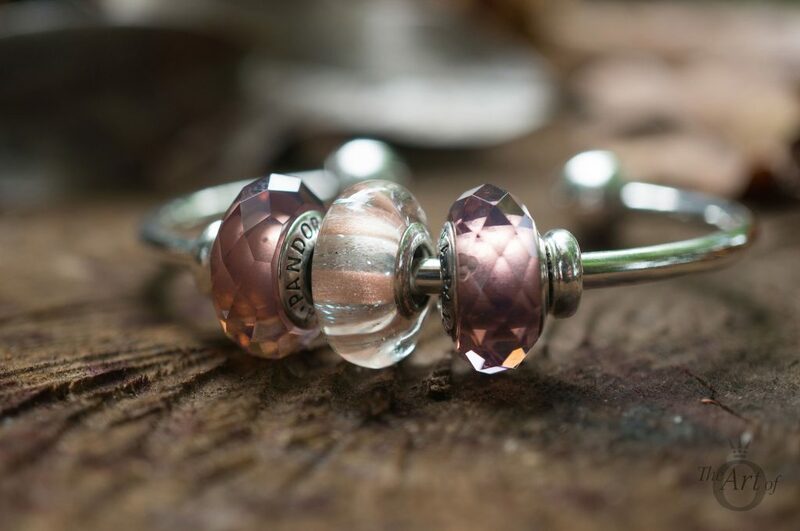 I have just posted a review on all three versions on the Glitter Ball charms so you can see how good it looks with PANDORA Rose too! Thank you for reading and commenting, I appreciate it ? Thanks for another great review! Your designs are lovely. 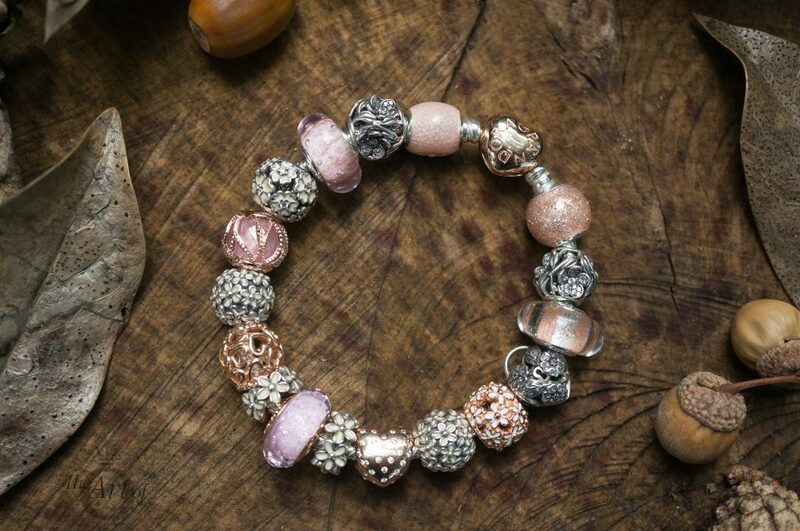 Love this murano with the Rose Glitter Balls and on the Rose bracelet. 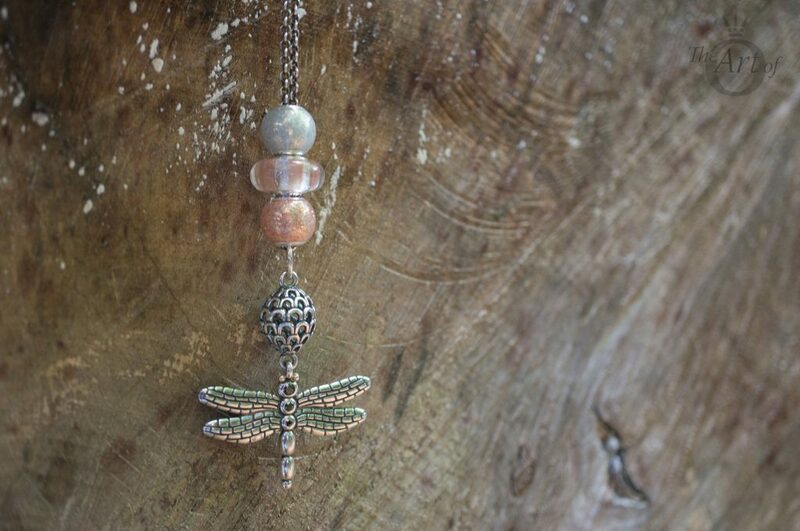 Love it on your dragonfly necklace, too. I’m spoiled with so many pretty muranos as of late. Thank you so much! I still have a few reviews to write and have gone a little review-mad so it is nice to know they are appreciated ? 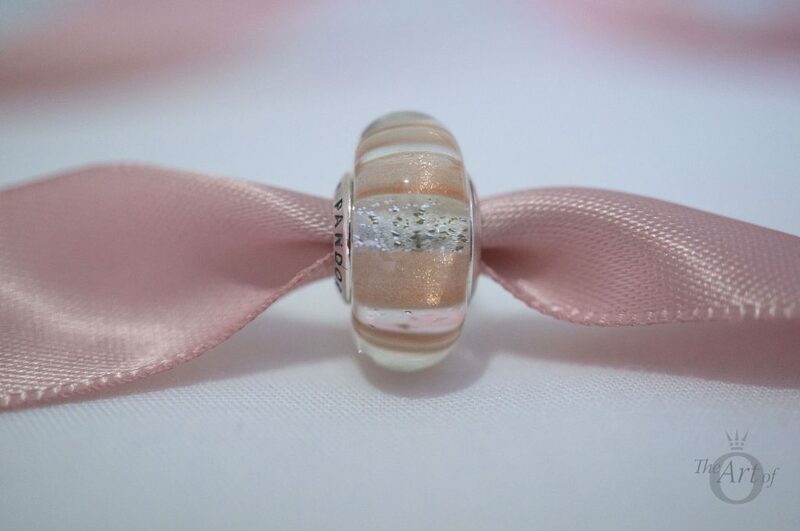 The coppery colour of the Shimmering Stripe Murano really compliments the Rose Glitter Ball.. I hope the Ice Drops Murano works equally as well with the Silver Glitter Ball. 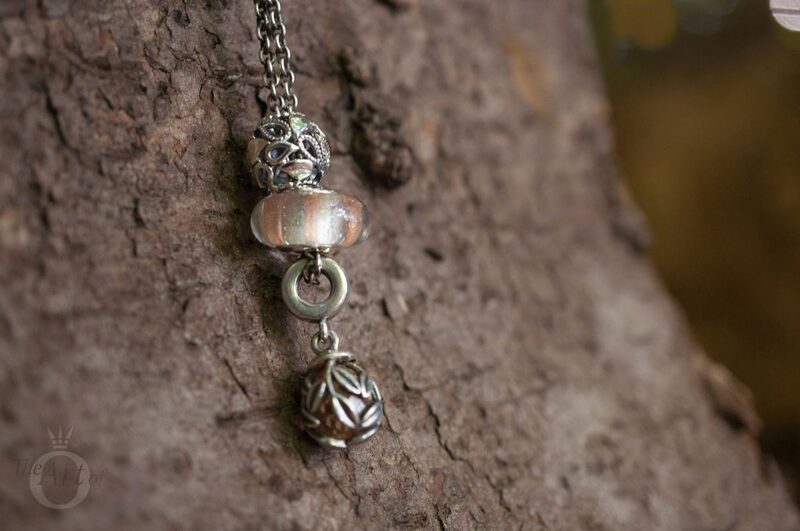 It would be interesting to create a kind of ying yang design in copper/rose and silver. Thanks again for commenting and enjoy your weekend! Aww thank you, I’m glad you enjoyed it!